In my years of interacting with many of the world’s most inventive companies, I’ve noticed that often the most innovative and talented people don’t realize how exceptionally creative they are. It’s just their norm—they eat . . . breathe . . . brush their teeth . . . churn out game-changing ideas . 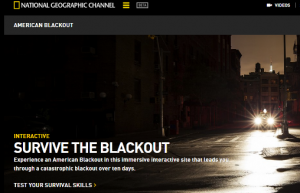 . .
With energy experts agreeing that such blackouts are a matter of “when—not if,” I was eager to view Black & Veatch’s new microgrid system, the first such system to power a commercial building in Kansas. 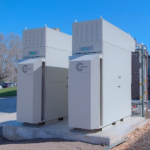 Serving as a model for companies and municipalities seeking to lower their carbon footprint and enhance electrical power supply resiliency, the system uses a combination of natural gas, solar energy, geothermal and battery storage. Government officials and electric utility leaders were eager to see how this could be applied in other settings. According to a Bloomberg New Energy Finance report that forecasts global power markets for the next 25 years, the renewable-energy boom will irrevocably alter how humans get electricity. 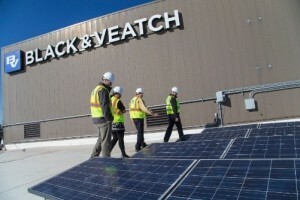 A frontrunner in effectively combining energy sources, Black & Veatch’s system provides enough clean energy to run their entire Innovation Pavilion and includes two natural gas-fired microturbines that deliver onsite electrical power generation. During winter months, heat is recovered from the microturbines to support heating for the World Headquarters, the largest office building in Kansas. A geothermal heat pump system with 15 wells drilled 500 feet deep helps heat and cool the Pavilion while battery energy storage delivers electricity to the World Headquarters during times of high demand. The m icrogrid is continually monitored by ASSET360™, Black & Veatch’s cloud based analytics platform which collects data from the system and monitors its performance, factoring in solar radiation, cloud cover, outside temperature and more to calculate how much energy is being generated and used in the building. 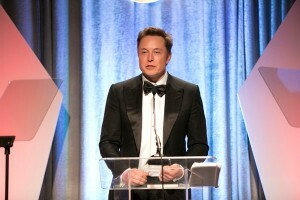 Edison Awards was privileged to honor Elon Musk, CEO of Tesla Motors, with the 2014 Edison Achievement Award. Often compared to Thomas Edison, Musk has almost single-handedly revolutionized the banking, automotive and space industries, so when he announced the coming revolution in energy storage, the world took notice. Black & Veatch was already ahead of the game, having spent the past year designing and building “supercharger” stations for Tesla cars—a charging system that spans North America. This project is the largest ever for the Black & Veatch’s Smart Integrated Infrastructure Team, which also supports Tesla Motors and their channel partners in design and construction of stationary storage systems nationwide.Working with Tesla Motors, Inc. (NASDAQ: TSLA), Black & Veatch is building the biggest connected electrical vehicle charging system in the world. 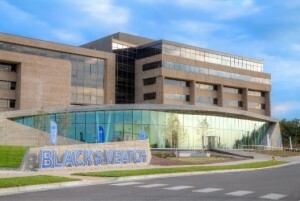 Black & Veatch was recently named to the InformationWeek Elite 100 list of innovative users of business technology. 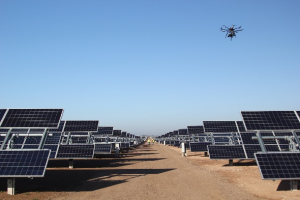 The company’s application of drone technology to reduce the risks and costs of equipment tower inspections was also recognized as one of the 20 Great Ideas for 2015 by the editors. Black & Veatch also tested the use of drones along with other technology, such as photogrammetry techniques, which are used to represent existing environments in the form of 3D point clouds. Leveraging drones for photogrammetry has the potential to capture more area in less time (and at lower cost) than traditional methods such as terrestrial 3D laser scanning. Black & Veatch is an employee-owned, global leader in building critical human infrastructure in Energy, Water, Telecommunications and Government Services. Since 1915, they have helped their clients improve the lives of people in over 100 countries through consulting, engineering, construction, operations and program management. Their 2014 revenues were US$3 billion. View other innovative companies at Edison Awards.